Isbell took time to speak to the bonds connecting him and other performers at this year’s festival and artists of older generations, and how artists like Crosby effect social change with their music. 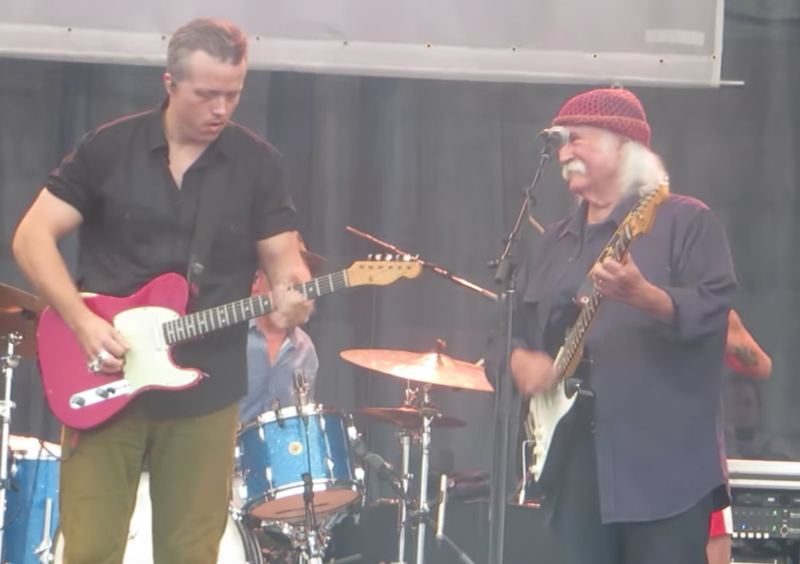 Watch Isbell and Crosby perform “Wooden Ships” and “Ohio” at the 2018 Newport Folk Festival below. Isbell and Crosby have had a budding bromance on Twitter for quite a while now so it was no surprise that once they appearing at there same event there would be some kind of collaboration. I love this and look forward to re collaberations between these men and more of the old guard reaching out to the new blood for same.